Hearty congratulations to all of the winners of the 2019 BHP Foundation Science and Engineering Awards announced this week, including NYSF 2018 participant Macinley Butson. 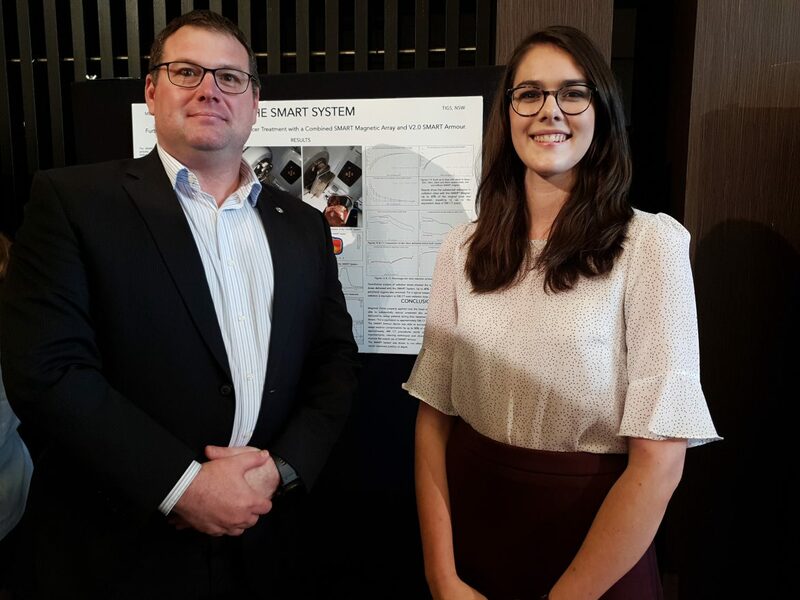 Macinley’s research won two categories in the Awards: The Investigations Category won for her project, The Smart System. The project has been investigating and applying two new devices working together to reduce levels of damage to skin and subcutaneous tissue during radiotherapy in cancer treatment. The SODIS sticker won the Innovator to Market Award, and measures ultraviolet radiation levels required to disinfect contaminated water through intensive sunlight. It is a very cost-effective method of purifying water and has wide applications, including in developing communities. Congratulations to Angelina Arora, NYSF 2019 participant, who was also a finalist in the 2019 Awards. Six of the finalists will have the opportunity to go to Intel International Science and Engineering Fair (ISEF) in the US where over 1800 high school students from 75 countries, regions and territories are given the opportunity to showcase their independent research.